This tour is no longer available for booking. 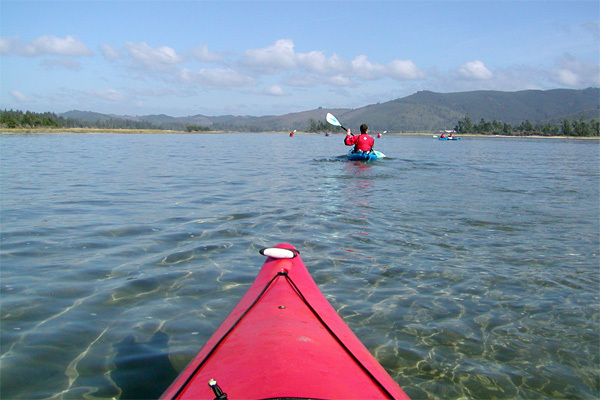 Float in the shallow and often crystal clear waters of this marine-dominated estuary, where there is a steady mix of marine life in and out of Sand Lake. Many fish and large invertebrates, such as dungenous crab, take advantage of the food-rich bottoms of the lake. On the highest tides, you can paddle clear around Whalen Island and up into the surrounding channels.